"It's a statement to the world that this is what I am and that it's something that it's okay to be." 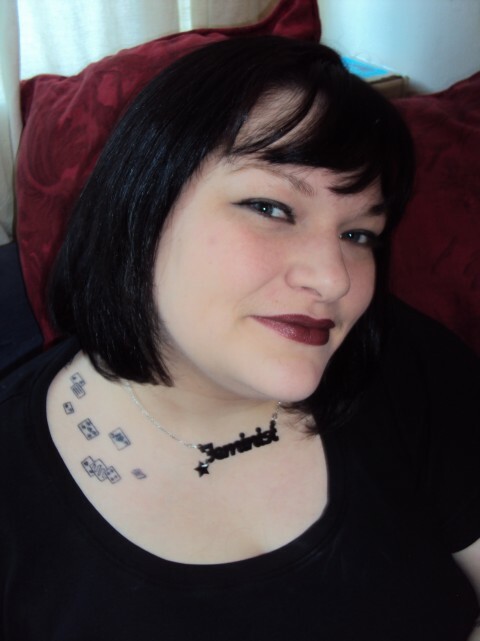 Meet Libby and discover why she identifies as a feminist in the second in our series of blogs meeting the feminist behind the Name Necklace. Discover why Libby identifies as a feminist, who her heroines are and her views on the future of feminism. You need to read this interview: Hi Libby! What inspired you to choose a Feminist Name Necklace? I ordered my Feminist Name Necklace because I wanted to wear my identity on my sleeve (or around my neck!) Like most people, I struggled with my identity through to my mid twenties. When I bought the necklace three years ago I was 27 and finally comfortable with (almost) everything that I am. Ordering the Name Necklace was a choice between 'feminist' and 'queer', I'm a perpetual student so I couldn't stretch to both. In the end I decided to go with 'feminist' because I think it's important to be visible in a world that still thinks feminist is a dirty word. It's a little bit of everyday activism. When I wear the necklace it gets noticed. It sounds a bit grandiose but it's a statement to the world that this is what I am and that it's something that it's okay to be. Why do you call yourself a feminist? It makes me sad that so many people, especially women, don't want to call themselves feminist even though they largely agree with the goals of the movement. I call myself a feminist for the simple reason that I believe in equality for all. It really is as simple as that. Do you have any feminist heroines? Dora Thewlis, known as the teenage suffragette (I blogged about her for Bad Reputation), Millicent Fawcett, Kathleen Hanna, Aphra Behn, Mary Wollstonecraft, Betty Dodson, and so many others are inspirational feminists. I don't always agree with everything they say but I love that they are - or were - out there saying it. But my real heroes are the grassroots activists like Kat Banyard, Roz Kaveney, the Southall Black Sisters and the members of the various local Fawcett Society groups; working class women for whom 'having it all' ie, a family and a job, isn't a choice but a necessity, and every woman that could be described as a bluestocking. If I wanted to name all my heroes, we'd probably run out of internet. 3) What do you think is the future of feminism? I can't say what the future of feminism is but I can say what I'd like it to be. In the short term I want feminism to fully embrace intersectionality, to recognise that biology is not destiny and to worry as much about the problems that face women who are not white, straight and middle class as those that are. But mainly, I want feminism to become obsolete; something we study in history class and marvel that it was ever necessary. Thank you for sharing your story, Libby! We loved discovering all about your heroes. Stay tuned for the next blog in our series! Inspired by Libby’s Name Necklace? Whether you want yours to say ‘Feminist’, ‘Queer’ or the name of your hero or heroine, design and order it here. We love seeing pictures of you with your new Name Necklaces. Tweet or Facebook them to us, or tag us on Instagram #tattydevine on Instagram.